Unique birthday gifts for her show the special girl or woman in your life just how glad you are that she is in your life. Celebrating each person's birth every year is more than just a tradition, it is a way of ensuring that those individuals know that they are valued by the people around them. A birthday is an opportunity for us to demonstrate the deep feelings of affection and gratitude that often go unexpressed on the other days of the year. Life today is so often fast-paced and rushes. Everyone is so busy all the time, BUT it's SO important to slow down on birthdays and take a moment to express those heartfelt sentiments. It's something we don't like to think about, but the fact remains that we just never know how much time we'll have with our loved ones. Therefore, each birthday should be treated as though it is always the first time it has ever been celebrated! When that special someone celebrating a birthday is one of the important women in your life, there can be a lot of pressure to come up with unique birthday gifts for her that will delight her and leave one more indelible mark of YOUR love on her heart. It's fine to go with old standards, but those gifts simply aren't always that memorable. Flowers are beautiful, and pretty much every woman loves being taken out for dinner - these gestures are fine, but sometimes it takes a little something more to really wow her on her birthday. Many companies have cropped up over the years with the intention of providing unique, unusual gift ideas for birthdays and other occasions. Pajamas, teddy bears, gift baskets, and other novelty items claim to be the solution in your quest for a perfectly original present. All of these things can make lovely birthday gifts for her but they still aren't different. The answer is Captured Wishes. Captured Wishes are one of the few truly unique and individualized gifts available on the market today. 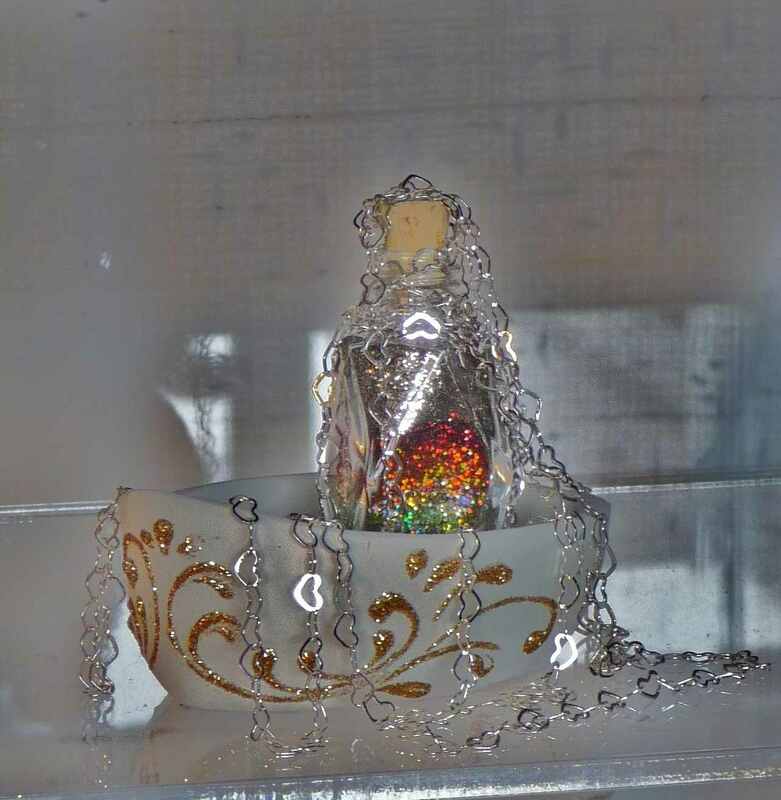 Of all the gifts she may receive for her special day, you can be sure that a Captured Wishes gift will be a unique birthday gifts for her, and stand out and remain a precious object to her for years to come. It is a gift that speaks for you - through the symbolic colors selected for the occasion of her birthday, through the specific wishes you can give her, through the choicely written and included verse, and through each tiny charm lovingly fastened to the delicate bottle. A captured wish gift brings forth the words that you hold in your heart yet can't find the manner to express in a fashion true to you. Captured Wishes can do this for you. Each is accompanied with a unique and meaningful verse which amazingly describes the feelings you have and want to share. Whether the birthday girl is your mother, sister, friend, girlfriend, or wife, she'll know how much she really means to you when she unwraps a Captured Wishes gift. It will all be there - all of those things you wish for her and want to tell her, perfectly encompassed in a tiny bottle filled with layers of symbolism and meaning. Held delicately by the special lady in your life, there is much to discover about this utterly cute, chic, and totally unique nature of the gift she has just received. After grilling you for information (everybody wants to know where to find Captured Wishes once they’ve seen their first one), she'll start to notice every deliberate detail of her custom-made gift. There is brilliant heart-link chain wrapped just perfectly around a miniature glass bottle – just the right size for wishing. And when charms are added, they can be rife with meaning and weigh anchor to a vessel filled with literal and symbolic wishes for a year filled with love and happiness, joy and other heartfelt and hopeful thoughts. Every single Captured Wishes gift is a completely original piece, hand-made by an artisan with great attention and care. They can be given along with another gift, but can absolutely also stand on their own as fantastic unique birthday gifts for her. Long after flowers have wilted and chocolate covered berries have been eaten, the Captured Wishes gift will remain – just for her, a beautiful reminder of your love and devotion.